State champion Colt Glasheen of the Dickinson County Big Shooters sizes up a target from 50 feet in the junior division .22 rifle competition at Bluewater Sportsman’s Association during the 4-H State Shooting Sports Tournament. 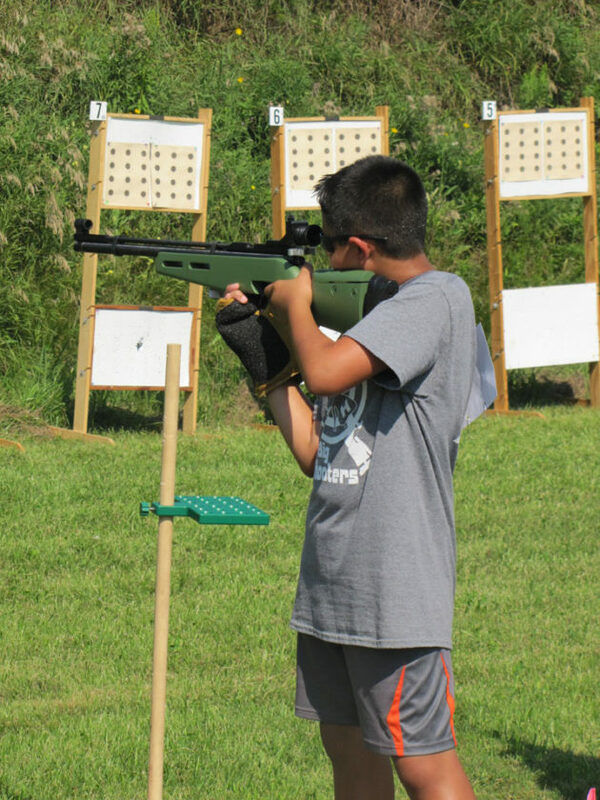 KIMBALL — Nine members of the Big Shooters 4-H Club in Dickinson County participated in the 4-H State Shooting Sports Tournament, hosted by the Bluewater Sportsman’s Association in St. Clair County. The top shooters and archers from across the state tested their skills in the event, including 19 from the Upper Peninsula. Colt Glasheen was the high medal winner for Dickinson County, earning the state championship in junior .22 target rifle. He improved his score by 66 points from 2017, when he took third place. 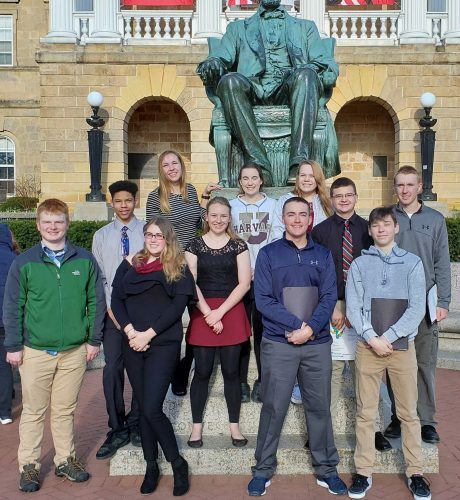 He also was a member of the first-place team for .22 target rifle, along with Katherine Erickson, Hunter Glasheen and Wyatt Glasheen. This was the second year in a row that the state’s first-place team in .22 target rifle came from Dickinson County. In the senior division, Erickson was awarded a second-place medal for the third year in a row, competing in .22 target rifle. From left are Colt Glasheen, Wyatt Glasheen, Katherine Erickson and Hunter Glasheen of the Dickinson County Big Shooters 4-H Club. 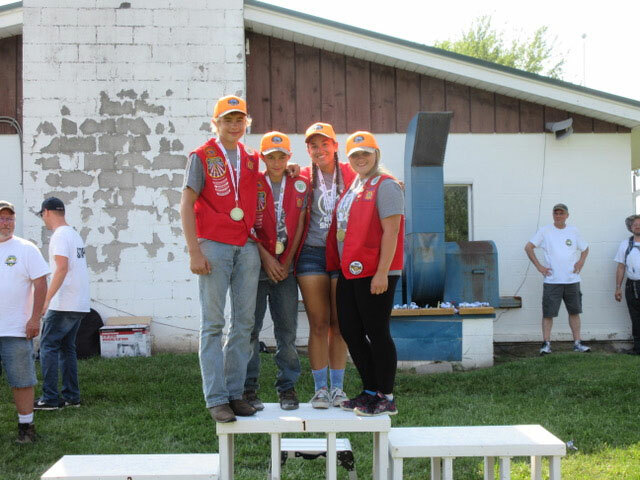 Competing in the 4-H State Shooting Sports Tournament, they won the team championship in .22 target rifle shooting for the second year in a row. Sydney Smith was the first member of the Big Shooters Club to enter into the field class. With her first-place finish for senior air rifle in 2017, she could not enter the same discipline this year. In her initial showing in the .22 field class, Smith won third place. A recent graduate of Kingsford High School, Smith hopes to shoot for the University of Michigan in the fall. Dickinson County had two shooters in the air rifle discipline. In his first year of eligibility, Alexander Erickson won the state championship in air rifle beginner. He was the only 9-year-old shooter, with all other competitors being age 11. His score of 336 more than doubled the score of the second-place shooter. Dickinson’s other air rifle representative was senior division shooter Nicholas Plaswirth, who earned the third-place medal. Erickson and Plaswirth combined their scores for the team event and had enough points to win second place. Dickinson County also had two archers entered in the state competition. In his third appearance at the state shoot, Logan Smith increased his score by 27 points and earned the 19th spot on the scoreboard. In her first appearance, Megan Arndt ranked 29th. Unfortunately, the rear sight on Arndt’s bow fell off with 10 arrows left to go, hurting her score. A showing like this would not be possible without support from the many sponsors of the Big Shooters Club. The club extended its appreciation to Wildlife Unlimited of Dickinson County, Buckmasters, Sagola Township Sportsmen’s Club, Bullseyes to Badguys, American Legion Post 363, Pat McCole of P&J Sales of Sagola, and the many other sponsors that have assisted the club financially throughout 2018. State champion in beginner air rifle Alexander Erickson engages targets. Wildlife Unlimited of Dickinson County provided financial support for travel and lodging expenses and also provided hats for each shooter to use on the firing line. Buckmaster provided funding for the purchase of newer competition air rifles. Instructors who have worked with the team include Pat Scott, Cliff Smith, Tony Erickson, Erik Wilson, Linda Smith, Amy Glasheen and Jason Glasheen. 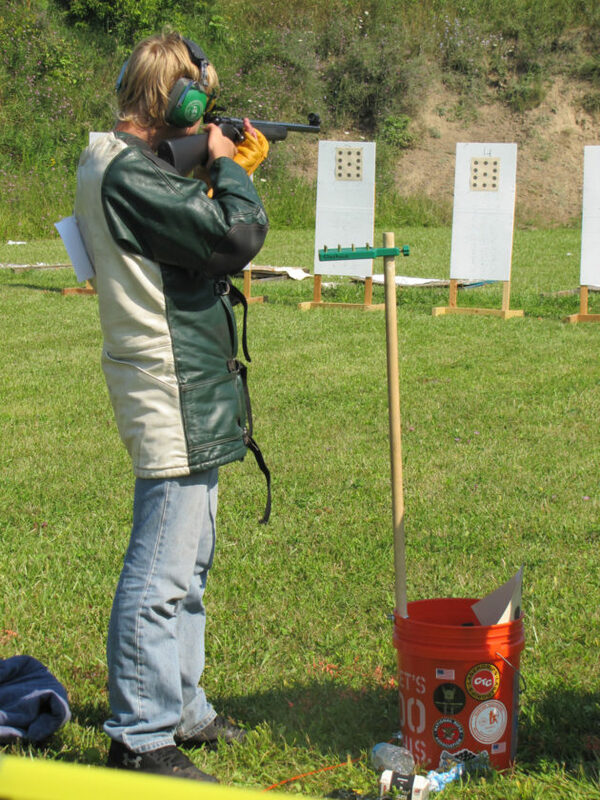 For more information about 4H shooting sports opportunities for youth, contact the Michigan State University Extension office at 906-302-3253. 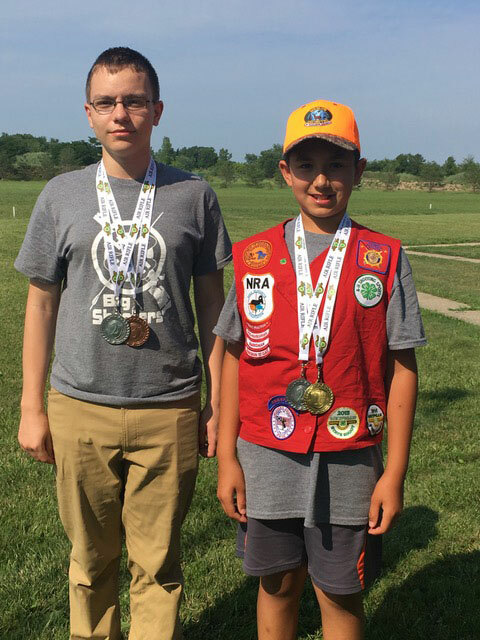 Nicholas Plaswirth, left, and Alexander Erickson display their medals from the 4-H State Shooting Sports Tournament earlier this month in Kimball. Plaswirth placed third in senior air rifle and Erickson was the state champion in beginner air rifle. Combined, they placed second as a team statewide in air rifle shooting, representing the Dickinson County Big Shooters.